I recently finished watching this and figured I might as well post my review here as I’ve put it up on myanimelist. I’ll probably review more anime soon as I’ve been watching so much of it lately. So here goes, my first anime review. After watching the fantastic first series of SAC I could not wait to get sunk into the 2nd Gig, however I was only met with disappointment. What made the first series so compelling and original was totally missing in 2nd Gig. Let me explain; what made SAC different from other anime was the way in which it retold classic crimes with that twist of GITS universe. The plots were always interwoven with tales of morality based on technology and crimes were often solved with the application of complex technology based approaches. Secondly the very strong characters help to put it all together, whilst they are well defined and linkable they are never take themselves too seriously. Firstly there are a lot of character development episodes, at least 1 for every member of the team. Character development can be good, but I was just overwhelmed and bored by 5 or so contiguous episodes which were all character development. The second problem with the character development episodes is that they did not really use many of the plot devices available to them through the GITS universe, making the character development shallow. The plot for the second series really slows the story down, SAC was never a fast paced anime but 2nd Gig takes it to a new level, most of the time was spent listening to people having conversations about the “individual 11” without actually taking the plot anywhere, I lost interest in a lot of the episodes because got the feeling that the writers had forgot they were writing an anime and were writing a dissertation on human relation. If you’ve watched the first series you might think I’m being picky, because uninterrupted dialogue was part of SAC but 2nd Gig takes it way beyond too far. The plot that takes up most of the episodes is extremely shallow, the theme was very basic and did not hinge on anything that was unique to the GITS universe. There was nothing GITS about it, it is a very matter of fact telling of goverment Vs terrorist. 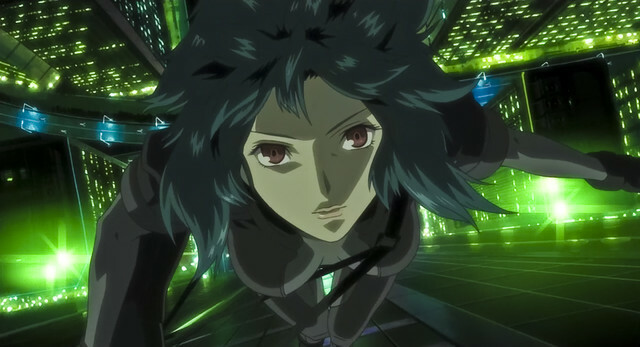 The first few episodes and the last few episodes I think were the best, they had some substance to them and they made me connect with the GITS universe. However, most of the episodes just seemed like they could have been in any drama series or anime with a light smattering of GITS. Good points about the show continue to be the art and music, thumping tunes come up in briefings and during missions adding to the atmosphere and all of the characters are well drawn and animated. Most of the characters remain well defined and unique, with the exception of the Major’s story arc becoming a little too predictable during the second half of the series. I also couldn’t help feeling that they made the Major a little too overbearing in 2nd Gig, in the first series she was elite, but it just seemed like in 2nd Gig they had to make her out to be too good and she lost some of the rapport she had with the other characters as a result.